Organized by dDF (Dream Design Factory) for the last 8 years, Istanbul Design Week will host the many significant designers between November 27th and December 1st 2013. The event, which has been contributing to the promotion of the image of Turkey for many years, draws opinion leaders and artists in the world of design to Istanbul. 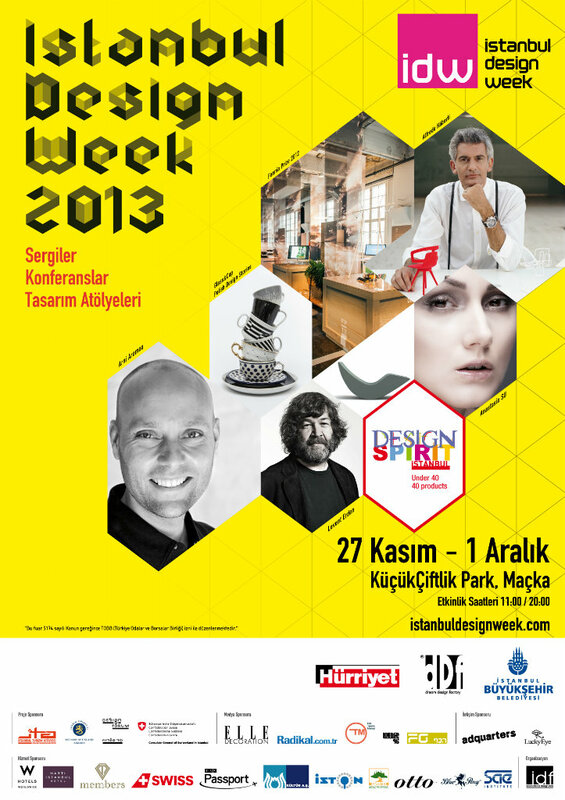 Istanbul Design Week, for the first time ever not taking place at the old Galata Bridge, is hosting world-renowned designers’ exhibits and conferences at Kucuk Ciftlik Park at Macka between November 27th and December 1st, 2013. Substantial contributions of Istanbul Design Week in 8 years and thus the design for the Turkish economy, exports and tourism cannot be ignored. The event, which supports Turkey in taking place in the world of design and designers, establishing an international network through design, contributing to its more powerful and different perception, attracts the interest of opinion leaders and artists both to IDW and Istanbul. IDW, as well as contributions to the industry and the economy of Turkey, also provides an opportunity to young designers and creative youth of Turkey’s newly formed companies, to expand economic opportunities in the international arena and meet experts in the fields of design and commerce. Since 2005, 4200 products, designed by a total of 350 designers and/or companies, have been displayed at Istanbul Design Week. This year, for 5 days, IDW will again present an ambitious program full of new projects, exhibits and workshops about design, trend, fashion, science, architecture and technology. This year, under “Design and the City,” theme, Istanbul Design Week is hosting exhibits displaying different design approaches from countries like Finland, Switzerland, the UK, Austria, Poland, Italy, the Netherlands, Germany and France. Almost every day is dedicated to a separate country and various design approaches will unfold from countries like Poland, Finland, or Switzerland. From Helsinki, design capital of last year, Finland’s most prestigious design award for best designs and designers, Finnea Award-winning designs are displayed within the scope of Istanbul Design Week for five days. This exhibit, aiming to promote Finn designs and designers, by traveling the world, is coming to Turkey for the first time. On the second day of IDW (28 November, Thursday), Consul General of Finland, Nina Vaskunlahti, will be hosting a cocktail reception in honor of the participating award winner Finn designers. On November 30, 2103, Saturday, IDW will be swept away with a Swiss wind. Switzerland’s Design Advisor Pierre Keller’s conference and young designers from Switzerland will be a hit. Polish Ceramics – A unique and inspiring collection of Polish designers’ glasses and cups will meet design lovers at IDW. On December 1, Sunday, you’ll get a chance to design your own porcelain cup during the special workshop, which will host renowned Polish designers, for the occasion to celebrate the 600 anniversary of Turkish – Polish affiliation. - Award winning (from 2007 till 2012) products of the famous Turkish designers such as Aziz Sariyer, Joelle Hancerli, Koray Ozgen. - “No Borders” Exhibit, which is put together by 8 young women graduates of England’s legendary design university “Royal College of Art”. 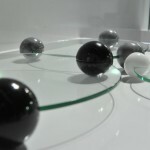 - Products of Polish ceramic and porcelain designers. - Red Bull Coolers specially designed for Istanbul’s premier venues by 10 surprise creative minds/people. Istanbul Desing Week continues to support the creative youth, consisting of young designers and design companies in Turkey and the world. Among them are companies such as Flaxx, recycled rocking chair; Flat Craftwork; Derin Design; Ron Design and Naif Design, founded by young designers. This year IDW will support the effort to discover future generation designers with special student projects, including the results of “Philips Television of the Future” Competition. 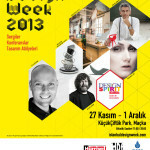 Istanbul Design Week will also be hosting very excited conferences along with the exhibit program. Some of this year’s speakers are; Switzerland’s Design Advisor Pierre Keller, Argentina born, famous award winner Swiss industrial designer Alfredo Häberli, latest trend setter and the most innovative designed watch NOOKA’s founder and designer Matthew Waldman, Ireland’s CCAE Cork Architectural Faculty Department Chair Jason O’Shaughnessy, Bosnian fashion designer Anastasia Su, Architect Martin Lesjak and Arni Aromaa from Finland. IDW, with its exhibits, exhibitors, conferences, workshops and parties, will greet you with a very special illumination installation from Germany. In addition, on December 1st, Sunday, sponsored by FG and Lounge FM, famous DJs Murat Uncuoglu and Birol Güven will close IDW on a delightful note with their “Music & Design” workshop. Finnea Prize – Is an award given to best designs and designers. This exhibit, by traveling the world and promoting Finn designs and designers, is trying to prove that the economic development of the businesses is possible by investing in innovation and design. The purpose of the award is to encourage businesses to take advantage of new designs. Finnea is a bi-annual competition and the award is worth 35,000 EUR. The Competition is organized by Design Forum Finland and Finnea Group. It will be its first year at IDW and its participation is made possible by the support of Finland Consulate of Istanbul. The exhibition explores the history of Polish design in the 20th and 21st centuries through an original collection of glasses and cups. It is a curatorial dialogue between a ceramics designer and a design historian about glass and ceramics production in Poland during the two most recent, turbulent centuries. From the first days of independence, through the aftermath of the Second World War and contemporary times, this work has been defined by two opposing endeavors: a persistent attempt to define a unique, national style on the one hand, and vivid allusions and international influences on the other. The results of this confrontation can be observed in the evolving shapes and decor of cups and glasses, which have additionally been determined by technological challenges. They also provide fresh insight into everyday culture, daily habits, and popular tastes, and the way these have been shaped in special circumstances. Featuring industrially-produced silver-plated glass holders dating back to the 1930s, popular coffee sets, limited series of New Look pieces from the late 1950s, and contemporary designs, the exhibition unveils fascinating stories where the official and the intimate intertwine. Organized by the Adam Mickiewicz Institute with Zamek Cieszyn. This exhibition is based on the idea of the Glass&Cup project conceived by the Fly with Art Foundation. Curated by Kasia Jeżowska and Bogdan Kosak. 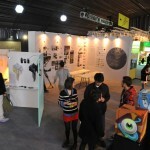 International Architecture Schools’ “n+1 Methodology” exhibit from TAB 2013 is bringing 15 schools’ projects to Istanbul. 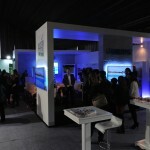 Creative projects, supporting urban planning and about modern structuring and public space creation will be exhibited. 8 different designs from 8 different designers! 8 young women graduates from England’s Legendary Design University “Royal College of Art” will exhibit their dynamic, fun designs with their stories – lighting, furniture, desk accessories, fashion, glass. The designs will travel to IDW after London Design Festival. Award winning products of famous Turkish designers’ (who have been awarded between 2007 and 2012) products will be exhibited. Every year selected designers from Turkey used to exhibit their products at the Milan Design Week. For the first time this year 12 pre-selected products will be displayed within a special project at the Istanbul Design Week. You’ve never seen Red Bull Coolers like this! 10 creative surprise people are designing the Red Bull Coolers for premium Istanbul Venues. Iconic Red Bull Coolers will first be displayed at Istanbul Design Week Red Bull Curtes Canvas Cooler area and then will take their places at the premium Istanbul Venues with design focus. Born in Buenos Aires, Argentine in 1964. He is an internationally acclaimed Swiss industrial designer. In his designs, Alfredo Häberli combines traditional insight with change, joy with energy. He had won the designer of the year award in 2009 at the international design contest «Architektur und Wohnen». 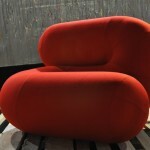 Some of the companies he works with are; Alias, Camper, Iittala, Kvadrat, Luceplan, Moroso, Schiffini, Vitra and Volvo. Matthew Waldman describes himself as an accidental entrepreneur. Waldman, before falling into the world of interactive interface design during mid 1990’s, began his career as a graphic designer as a specialist in brand and corporate identity and he was moving forward in that direction. NOOKA is actually the brainchild of this trajectory. Waldman’s entire design achievements are based on core themes and moral universal language. Since 2000, Jason, aside from his academic career, is the one of the founders of “Architecture 53seven”, which is a foundation in innovation research about urban architecture. He’s been running researches on the architectures of individual and public life of the city and carry out projects. Born in 1984 in Bosnia Herzegovina. She designed her first dress when she was 13. After the Bosnian War, she opened a store where she designed and sold tailor-made outfits. She then continued her life in Graz, Austria, where she studied and continued her passion for fashion. She studied medicine and found an interesting bond between fashion and the human body. Anastasia Su’s collection reflects personal experience aesthetic aspect of the human body. Her emotional values help her in shaping her collections and designs. Born in 1972, studied architecture in Graz, Austria. In 1999, Lesjak founded INNOCAD Architectural Partners with Erhard Rathmayr, Andreas Reiter, Peter Schwaiger ve Bernd Steinhuber. INNOCAD as a company, rus large number of projects such as residential, office, health care, retail, interior and product design. Microsoft Vienna center, “Am Kai” is one of them. 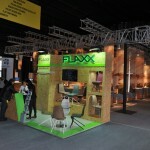 They have participated in competitions and won prizes with numerous architectural projects in Austria and in the world. Provincial Construction Prize 2004, TECU Architecture Award 2005, International VELUX Award for architecture in 2006 is some of the awards.